3.- Annual gold production for the past few years has averaged 2500 tonnes. 1 metric ton is 32150 troy ounces, equalling 80,375000 troy ounces or 99 billion USD, a relatively trivial amount in comparison with the debt numbers in point 2 above! 4.- 1 trillion USD(1000 billion) is over 10 ten times annual gold production. 5.- China is the number one gold producing country at roughly 320,000kg of gold annually, South Africa was consistently number 1 until recently, it currently sits at number 4. 6.- South Africa, once the powerhouse of global gold output is fading fast, the major mines in RSA are depleting so fast that they are 2 miles underground in dangerous conditions, analysts say that once the mining stops in these mines it will not be cost efficient to re-open many of them. Estimates say RSA gold mines are 75% mined. 7.- The Krugerrand gold coin, the worlds number 1 gold coin come under such a squeeze this year(with the price drop in 2013 causing a huge surge in demand)that the rand refinery upped premiums and a billion dollar purchase of scrap gold was made in USA by an un-named RSA corporation. South Africa has never before imported gold on this scale. 8.- More than 1/3 of annual gold production is via scrap and recycling, this source is coming under significant pressure as it is diminishing significantly, scrap tonnage is down year on year for the the last few years, although the price drop has influenced this, the general consensus amoung scrap dealers is that the supply is just not there. 9.- Gold is subject to the law of diminshing returns similar to oil(i.e it becomes more expensive to mine the same oz in a location over time),however gold mining is more labour intensive than oil drilling, it is also harder to estimate quantity on location and often yields disappoint more so than with oil. 10.-If there is one country that understands the value of gold it is China, they have risen to number 1 gold producer worldwide, while dramatically increasing annual purchases and inflows via Hong Kong in particular. Whilst China’s holding are still less than the USA, there is an increasing realisation that the US does not have/own all the gold it reputes to. China on the other hand significantly down plays its holdings, its production and its inflows. He who holds the gold holds the power! Last week the Federal Reserve announced to a surprised financial community that there would be no reduction in money printing this month. The markets had priced in a 5 to 10 billion reduction in the Fed’s 85 billion USD a month of QE which has been channelled into mortgage backed securities and US treasuries to support the US housing and government debt markets and thus keep interest rates at abnormally low levels. Since there has been such a strong drum roll of media commentary about the apparently improving prospects for the US economy and Bernanke has been talking about reducing QE for the last few months there was a consensus on wall street that the the Federal Reserve would act to taper in September. This didn’t happen as Bernanke acknowledged that economic data was not firm enough to suggest the US economy could move forward without its sugar high of 85 billion every month. Bernanke is dead right in his assessment. Without the 85 billion, interest rates would accelerate their move higher – a trend which began as soon as the taper talk began to emanate from the Fed. This would quickly cause cracks and a new more spectacular collapse in the housing sector as mortgages become completely unaffordable for new buyers and house owners with large mortgages are forced to default on their loans. Given the already bad data on loan defaults for homeowners it’s clear that housing is one of the most vulnerable sectors when interest rates start to rise. And rise they will – nothing goes on forever and the lowest rates in history will not continue indefinitely. More worrying than this is the effect on the US debt market – rates in the bond market started to rise as soon as the taper began to be mentioned. No private buyers want to be in the train wreck that is the US debt market if the biggest buyer in town, the Federal Reserve is trying to pull out – without their monthly purchases keeping bond prices up and rates down the private market will act as all markets should and try to find the correct price for US debt – that means much lower bond prices and much higher yields until private buyers are satisfied they are being adequately compensated for purchasing US debt – which contrary to popular comment, is not risk free. If the US government has to go cap in hand to the private debt markets the US government will quickly be exposed as being insolvent – never mind the US housing market, this is the elephant in the room and Fed needs to keep him hidden as long as possible. Housing and US government debt alone are two issues enough to make any taper from the Federal Reserve extremely unlikely – once a government or central bank starts down this money printing track they quickly find there is almost no way out. But there are other problems too – the employment situation in the US appears to paint a far too rosy picture, something Bernanke himself admitted when he pointed out that huge numbers of people seem to have dropped out of the workforce entirely in the last year, meaning they are no longer counted in the unemployment numbers thus the 7.4% unemployment percentage is unrealistically low. Even with those jobs which were created the majority were part time service industry jobs (thank you Obamacare!) rather than high quality well paid full time positions in manufacturing etc. The stock markets have had a great year, but if the Feds actions this month tell us anything, it’s that the general economy, 5 years after the crash of 2008 is still in a precarious position. Without the Federal Reserve’s intervention in the mortgage backed security market there would be no housing recovery and without that who would really consider the US to be on the way back? But if stocks and housing keep going up while nothing else in the economy suggests they should be, it’s evidence that these two sectors are again going into dangerous territory and without ongoing QE from the Fed they would again be heading for burst bubble territory. The debt collector came knocking on the Feds door in 2008 and Bernanke shut the door and told everyone to keep quiet so maybe he’d go away – this week Bernanke risked a peek out side that same door again and found the debt collector was still sitting there waiting for his payment. The spectre of a deflationary depression looms large in the Fed’s thinking even as Bernanke approaches the end of his term – this is the biggest guarantee that we are on the road to endless QE. Although both gold and silver have been in a correction since September last year and the stock market has moved forward strongly in this last year, the shaky foundation on which the stock market has advanced suggests that when the stock market falters gold and silver could be set for a strong rebound as the investment market realises it has overestimated the strength of the US economy by a wide margin. At the moment everyone, including the Fed, seems to have forgotten that it is not possible to re-inflate old bubbles and keep them inflated. I would expect that everyone is going to get a good dose of economic realism on this same topic. The only way real estate and stocks are going to avoid a nasty pullback at this point is an ever increasing commitment to QE (never mind an actual taper) and an acceleration in inflation – but even in that scenario both real estate and stocks will lose comparative value to other asset classes such as gold and silver. The parallels between this period and the pullback in gold and silver in 1975 and 1976 are illuminating – gold was off 50% in that 2 year period but from the end of 1976 to 1980 it went up a further 500%. History doesn’t necessarily repeat but if often rhymes. Both silver and gold pushed up strongly in the last few days with Thursday the 15th August being notable as silver moved up 70 cents from 16.50 euro to the 17.20 area. This is hugely interesting because the silver price has been anchored down around the 15.00 euro area for most of the summer and just 2 weeks ago it was down to 14.80 as the Fed issued new commentary regarding tapering. In our opinion this is just an opening salvo from stocks bonds and metals as all three asset classes flash red warning lights over the strength of the US economy and its trajectory minus massive bond purchases from the Federal Reserve. With positive new jobs data yesterday in the US the market hammered stocks and bonds downward as yields on US treasuries continued to rise. All this while gold and particularly silver had one of their best days of the year in terms of price movement. The talking heads on CNBC and Bloomberg attributed the metals strong performance to disturbances in Egypt where they bothered to note it at all. But it is our belief that the metals strong showing yesterday had nothing do with the middle east and everything to do with the market warning the Federal Reserve not to get off the QE tightrope. If the Fed allows the free market to set the proper interest rates for US debt there is a crisis looming that will make the issues in the Eurozone look like a cakewalk! Strong evidence is emerging that both China and Japan are backing away from US debt in advance of any tapering from the Federal Reserve. The simple truth here is that without the Federal Reserve persevering in its purchases of mortgage backed securities and money printing there will be scant support for US treasuries at current yields. If the Federal Reserve does taper it risks allowing yields to explode and pushing the US government into a Greek style crisis within 6 months. With yields rising and stocks falling while metals rose this is the market sending out yet another early warning to Bernanke – the US economy, housing, stocks and bonds all depend totally on easy money and near zero interest rates. Without the Fed’s MBS purchases over the last year where would the property market be now in the US? And without a stabilisation in housing who would think there was any strength in the American economy? Is the Gold Bull Market Over? For those who are disillusioned by the recent downturn in the price of gold and silver, it is worth re-visiting the fundamentals of what exactly has been driving the current bull market. Are the PIIGs reduced their debt burdens? Or have they increased further since recent crises? Does the US bond market look healthy or does it look like a 30 year bubble ready to bust? Are western consumers debt burdens dealt with? Are real interest rates positive or negative? Was the Cyprus savings confiscation something that occurs in a financially stable region? Are bank’s balance completely sheets largely cleared of bad debt? Are governments increasing or decreasing the burden on productive business? Are governments increasing or decreasing the burden on productive citizens? Are savers suddenly being rewarded for holding paper money? Is the public sector increasing or decreasing its influence on society as a whole? Why is the stock market hitting new highs if the general economy continues to struggle? Who and what exactly is leading the supposed recovery in housing ? Could it have anything (everything!) to do with the Fed buying 85 billion a month of mortgage backed securities? Are stocks or bonds or property at bargain valuations compared with historical metrics? If the questions listed do not give cause for concern then you would be better off holding fiat currencies. However not one of the answers would convince me that the bull market in metals is over. https://goldbank.ie/wp-content/uploads/2017/06/Gold-Bull-Market.jpg 567 850 Goldbank https://goldbank.ie/wp-content/uploads/2018/10/logo-1.png Goldbank2013-06-14 14:23:312018-10-16 17:03:12Is the Gold Bull Market Over? Since September 2012 to date the gold price has gone from 1384 euro all the way down to the sub 1200 euro area now (22cd Feb). Today an ounce of gold costs 1195.44 euro and we’ve seen gold tumble down in roughly 20 euro increments every few months. At the same time the Dow Jones index has rallied since the 15 November 2012 from a low of 12496 to 13946 today – that’s a rise of almost 1500 points or more than 10%. Accompanying the stock market rise in the last 6 months we seen a rise in bullish sentiment among financial commentators and analysts so along with metals, treasuries have suffered as investors look for ‘risk on’ higher yield investments. This is all predicated on the idea that the US economy is racing out of recession and there are blue skies ahead. However when the herd all rushes to one side of the room a degree of scepticism should be employed. There are some serious problems with the idea of a resurgent US economy unfortunately. One of those factors (which everyone is trying to explain away) is that US GDP actually shrank in Q4 2012 by -0.1% the first time we’ve had negative reading since Q1 2009. Areas such as housing which have shown resurgent strength are also the areas where the Federal Reserve has been most directly involved – who believes US housing would be showing any pricing strength without the Fed’s QE3 monthly 40 billion dollar purchases of mortgage backed securities? This is a problem, because what happens when the Fed tries to ease back on these purchases? A real free market would continue to drive down real estate prices until they represented outstanding value for investors and this would allow prices to reach a stable equilibrium – but the Feds actions are encouraging the banks to begin writing more mortgages and more business than would be the case in a true free market potentially creating even more problems down the line. Unless of course the Fed is committed to QE forever but that will lead to a crisis in either the currency markets (dollar collapse) or the bond markets (international investors lose confidence in Treasuries). There is no way out of this trap. If you ignore factors such as negative GDP numbers last quarter or artificially propped up housing market you might well conclude the present stock market rally is built on rock solid foundations but it is worth considering that perhaps the Fed’s money printing has something to do with the run up? Also ask yourself if 14000 dollars (Dow Jones now) today buys you more than 10000 dollars (Dow Jones 2000) in 2000 (the end of the greatest bull market in stocks in history). The answer (no!) tells you that, at best stocks have been trading sideways for 13 years – that looks more like a great bear market a la the 1970’s than the any sort of bull market from history! Based on the current economic fundamentals it seems clear that the half year run up in stocks that we’ve seen since November, is, at the very least, standing on some shaky foundations. That has coincided with a period of weakening metals prices. However the fundamental factors driving gold and silver to outperform stocks and property for the last decade remain very firmly in place. With sentiment so firmly against the metals this is a great time to pick up bargains. Metals may well go lower from here but as soon as sentiment in the stock market is shocked into realising the US economy is still mired in excessive debt with a wobbling currency the markets are likely to reverse in a big way. What will happen to the price of gold and silver then? Draw your own conclusions and base your investment decisions on fundamentals, not on sentiment! https://goldbank.ie/wp-content/uploads/2017/08/Concerned-at-the-fall-in-the-gold-price.jpg 383 1016 yasmine https://goldbank.ie/wp-content/uploads/2018/10/logo-1.png yasmine2013-02-22 16:45:222017-08-11 07:30:22Concerned at the fall in the gold price? We are 10 years into a precious metals bull market which has seen gold go from under $300 an oz at the end of the stock market bubble in 1999 and 2000 to over $1500 dollars today. In the same time frame the Dow Jones has gone from 11722 on January 14th 2000 to 12084 on June 20th 2011. Impressive. Gold’s rise has been steady but not meteoric. Euro Sovereign Debt – debt loads in the P.I.G.S are unsustainable. In Greece’s case corrupt, incompetent politicians lied about their economic data for years. In Ireland’s case the state has been saddled with debts of private banks. Now, and as a direct result the state itself is heading towards bankruptcy and default. Greece is certain to default and Ireland is likely to follow. What is interesting to speculate is how long will it take investors to realise that it’s not small peripheral European countries debt they should be worried about but the elephant in the corner – the heart of the current fiat system, the US itself and it’s impending default, outright or by stealth. Federal Reserve QE – The Fed is due to call a halt to Quantitative Easing this month. So we have the paradox that the Federal has pumped unparalleled liquidity and Keynesian stimulus into the US economy and yet its still tettering on the edge of a cliff with a raft of dismal economic data emerging this month indicating no signs of a robust recovery. Now the Federal Reserve, which has been buying up in excess of 70% of US government debt in the last 6 months is supposedly going to step back and allow private market participants to take up the slack. If the Fed had the guts to move into a tightening stance and step back from Quantitative Easing the US would go into a depression. But in order to correct the government induced imbalances in the economy that is what the Americans need right now. No chance the Fed will let this happen. South East Asian Support of US debt markets – China, Japan and South Korea are key to the health of the US bond market. Since the late 1990’s and the Asian currency crisis these countries have been building up their foreign reserves to protect themselves and their currencies should such a crisis recur. These three countries are amongst the biggest holders of US debt with Chinese holdings of US bonds being the biggest in the world. Interestingly, as the Federal Reserve has been buying more US bonds over the duration of QE2 China has fallen behind Brazil as the biggest buyer of US debt. US deficit – The US government is projected to run a record deficit of 1.4 trillion dollars this year and we have a farcical situation emerging where Congress is constantly being forced to raise the US debt ceiling amid warnings of financial Armageddon if ceilings are not constantly lifted. This is the equivalent to a spendaholic consumer who can’t balance his income and expenditure and constantly has to raise the limit on his credit card to keep the ship afloat. No consumer is allowed to do this. So why should a country? The outcome, obviously, cannot be good. The US currently has a 14.3 trillion dollar debt ceiling. Does it really need more? Or should it just start trimming its expenditure instead of chasing US citizens all over the world, from Switzerland to Hong Kong trying to squeeze every last penny out of them. There is a very good reason US citizens are looking at other countries to park their wealth securely. Obama’s policies – Obama is a charismatic, movie star style president, in the JFK mold, no doubt about it. But that does nothing for a country that needs a hard nosed business focused president who puts moral and social issues on the back burner and focuses on balancing the countries books. That means low taxes, low regulation, sound money. But Obama doesn’t understand the impact of high tax and high regulations on business investment and he has never even heard of sound money. But he is odds on to win the next US election. This metals bull has a long way to run. As long as he is in power a weak dollar can be taken as a fact of life. US balance of trade – The US trade deficit is 43.7 billion as of April 2011. The trade deficit with important trade partners like China is a perennial US political football but nothing has been done to solve the problems leading to US over consumption and under production. The decline in US manufacturing is a tragedy for that country and rebuilding manufacturing capacity will be a slow difficult grind for that country. An economy that does not export more than it consumes will always have a pronounced tendency towards a weak currency and will suffer from spiralling debts. In Congress the argument is always thrown out that the Chinese are competing unfairly with America through low wages etc. But if this argument had any merit then how is it that a high income country like Germany does so well with its exports to China? In fact, Germany with a population only a fraction of the America’s exports more to China than the Americans do. American umemployment – unemployment in the US is stubbornly high at over 9%. The Federal Reserve’s stimulus has done little to reduce this. Governments and central banks cannot create employment in a stagnating economy – only private enterprise can do this. If government creates one job in the public sector they have to raise taxes to pay for that position – that money comes out of the productive economy and cannot then be used for investment in manufacturing capacity etc. European and US interest rates – under Jean Claude Trichet the ECB has kept interest rates at historical lows of half a percent while the US has rates of 0.25%. Both of these rates are far below rates to offer savers a return over inflation and provide a disincentive to keep wealth in paper form. This continues to fuel precious metals investment interest. In order to change this scenario significantly it would be necessary to raise rates dramatically, back to historically high levels. Raises of .25% and .50% will not be sufficient to derail metals market participants. Prospects of the rates being raised back above the 5% to 7% level seem remote in the extreme at this point. But without them, why hold your wealth in paper? Break up of the Euro – if the Euro starts to crack and Greece defaults, and Ireland then does likewise, what will happen to the single currency? Who will want to hold the single currency if there is a possibility it will not exist in a few years time? But as we’ve discussed, the dollar, has many issues which make it potentially a worse guardian of your wealth than the Euro. With such enormous problems, neither of these two currencies look like a safe bet in the years ahead. This will continue to foster strong precious metals sentiment. Chinese investment market – wealthier consumers in China are buying metals and being encouraged by government to invest in commodities rather than an overheated property market. The Chinese Government has tried to dampen property speculation by raising property taxes and mortgage down payment requirements and this has driven more investment in the metals markets by private citizens in China. The Chinese have huge savings rates compared to anywhere else in the world and as more of those savings are moved into metals this will have a profound impact on patterns of demand worldwide and on prices. As inflation in China becomes more of a concern (a result of the Chinese government trying to maintain a consistent price relationship between the Yuan and the US dollar) this trend towards metals purchases will likely accelerate. China is now the world’s largest Gold Producer and yet it produced only 340 metric tonnes of Gold compared to consumption in China of 700 metric tonnes leaving a deficit of 360 metric tonnes of Gold last year. These sorts of numbers give an idea of how influential China’s growing appetite for Gold will be in the investment landscape in the years ahead. Over the last 10 years gold has risen approx. 600%. 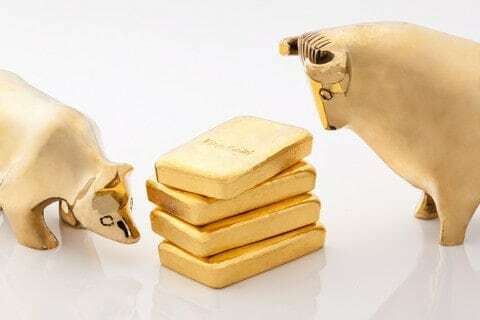 But compared to other asset classes gold still appears undervalued – it still takes 8 ounces of gold to buy 1 share of the Dow Jones for instance. It still takes over 150 oz of gold to buy an average house in most western countries today (Ireland and the US being the obvious examples). After 40 years on a fiat money system it looks as if the dollar is headed the same way as all other historical fiat currencies – right back to its intrinsic value, zero. A new hard currency structure is the likely successor to all this chaos we are enduring now as central banks and governments use their best Keynesian box of tricks to no discernible effect except more chaos. You can’t change all of this. But you can protect yourself and preserve your wealth while others are losing theirs. Stick with gold in the difficult years ahead. Robert Zoellick Head of the World Bank since 2007 has called for a discussion on a new Gold Standard in an article in the Financial Times this week. Since 1971 when the US effectively declared bankruptcy by ending the Bretton Woods peg between the dollar and gold ($35 dollars equaled 1 oz gold) the global financial system has been a floating currencies system based on a paper dollar as the global reserve currency. Zoellick suggests using gold as ‘an international reference point of market expectations about inflation, deflation and future currency values’. Even more significantly, and in our opinion, accurately, Zoellick suggests that ‘although textbooks may view gold as the old money, markets are using gold as an alternative monetary asset today’. The suggestion that we have been operating under a system Zoellick calls ‘Bretton Woods 2’ since 1971 is perhaps slightly misleading. To call the structure that international currencies have operated under as a system of any sort is very generous. ‘Organised chaos’ might be a better way of defining currency management since 1971. With no restraint on how much of the global reserve currency they printed the US has been on a printing spree with unintended consequences across the entire globe as deflation was exported abroad to developing countries in the 1990’s and then inflation on a vast scale was seen in both housing and stocks in the US and around the world. As it becomes clear that this use of the dollar as a global reserve currency at the same time as the Federal Reserve uses and abuses the currency to try and ‘pump prime’ the American economy is becoming more untenable and less and less beneficial to other countries around the world the era of dollar hegemony appears to be drawing to an end. Despite this, the reaction to the idea of a new Gold Standard has been mainly negative. Almost none of the commentary reacting to Zoellick’s FT article has displayed any knowledge of how a Gold Standard actually works. Many of the critics of the idea have said it’s simply not practicable because the quantity of Gold available is not sufficient to support the modern world’s rate of growth etc. A real functioning Gold Standard can operate on a single Krugerrand. All that matters is that governments set a credible price peg for their currencies against that single ounce of Gold. If the currency’s value falls below the peg then remove currency from circulation until the currency’s value rises to its pegged value again. If the currency’s value rises above it’s peg then do the opposite, and print more paper currency to reduce the value of the currency back to its peg (think QE2 with a purpose and end point). Economists, governments and central banks around the world, under the influence of Keynesian thinking seem to have forgotten that any government with a printing press has total control over its currency’s value – reduce supply/increase value & increase supply/ reduce value. Simple, but far too straightforward for the brain boxes in the US Federal Reserve and the IMF. Defending currency value with interest rates is an invitation to speculators to put a currency to the sword. What about a Gold Standard’s capacity to allow for rapid growth in an economy such as China’s or any other around the world today? Demand needs to be considered in relation to how much currency is produced. But consider this, if currency demand starts at 100 dollars and then rises to 200 dollars in a given economy then government can print an additional 100 dollars and double the paper money supply without any disruption to the Gold Standard price peg. Demand for Gold itself will not vary sharply in a well managed paper currency where the government’s promise to maintain the peg makes that currency as ‘good as gold’! This means that a proper Gold Standard can easily accommodate and facilitate any level of growth in an economy contrary to the misinformed commentary from so many economists today on CNBC, Bloomberg et al. It is encouraging to see the beginnings of a debate around a new global economic system which will involve ‘hard’ currencies and will reduce the chaos a soft money system underpinned by a falling dollar causes. But Zoellick’s comments are only a beginning. And the outright rejection of his comments certainly highlights the fact that this debate will take years to resolve as governments and citizens around the world begin to recognise the need for a new Bretton Woods type agreement. And all the while this debate rages the precious metals bull market will continue to run and run.